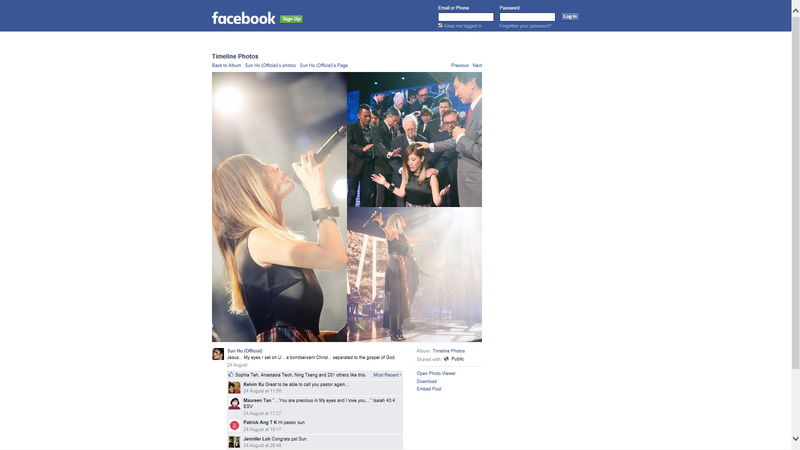 However, Sun Ho is now officially the Pastor of CHC 2.0. If this is the next trial facing Kong Hee and Sun Ho, Phil Pringle of C3 “Church” may finally receive the promised CHC 3.0. The fact that Kong Hee says that he copies everything that CHC does from his mentor, Phil Pringle’s church should make Australian authorities question Phil Pringle’s practices, especially when a C3 insider researched and compared Phil Pringle’s financia conduct to CHC’s financial conduct. Convicted conman pastor Kong Hee and the new pastor of City Harvest Church Sun Ho may be guilty for tax evasion over the receiving of “love gifts” worth S$1.4 million between 2006 and 2009. The S$1.4 million funding comes from a specially-created fund called “Multi-Purpose Account” (MPA), which is contributed by church members. The MPA which was closed in 2010, only came to light during the court proceedings and were kept in secrecy from the public and even church members. The fund were contributed by 40 of Kong Hee and Sun Ho’s closest supporters between 2006 and 2009. Kong Hee was also uncovered to have lied to Singaporeans in 2005 where he declared that he earned only S$8,000/mth, when he in fact earned S$500,000 a year from merchandising sales and giving speeches around the world. “Now what we’re going to be listening to are two bits of audio from videos put out by, well Phil Pringle, who I think has a LOT to do- a LOT to do behind the scenes regarding Kong Hee and Sun Ho’s Crossover project- and was one of the men who was directly coaching and um- leading, (you know, casting vision for Kong Hee). You might want to read those articles before listening to Chris Rosebrough’s review. His [Good] “Sermon Review” is of Dr. Paul Choo, who has proven to be a lone and faithful shepherd in Singapore, exposing the prosperity wolf pack consisting of David Yonngi Cho, Kong Hee, Joseph Prince and so on. CItyNews did a fantastic job after the trial, in their interview with Phil Pringle. They gave him enough rope to continue to be misleading but also exposed him as a liar. ON TOP OF THE FACTS OR NOT? Thank you CityNews for exposing Phil Pringle as a liar. In past CityNews publications, Phil Pringle asserted that he was “abreast” of what was happening in court and still insisting on Kong Hee’s innocence a few hours before the verdict. AT THE TIME, IT OBVIOUSLY SEEMED RIGHT? Think this statement through. How would Phil Pringle know? “At the time”, it obviously appeared “right” to Phil Pringle since he prophesied over Kong Hee and Sun Ho to buy the SunTec convention center and to take the Crossover Project further into Asia. Wouldn’t it have been handy for “Prophet for Profit” Pringle to prophetically warn Kong Hee and the other five to get themselves into order? Did he offer prophetic advice to CHCs financial governance? As long as City Harvest Church keeps Phil Pringle as advisory pastor, you can probably expect another disaster because of his lies and ongoing false prophecies. CityNews also asked Pringle how members should react to “revilers”. Pringle’s response? 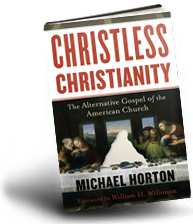 “Jesus was accused of breaking the law and breaching the Sabbath and the law of blasphemy. Paul was accused of treason. Peter was imprisoned for preaching, which was deemed against the law. How does Phil Pringle convince CHC that Kong Hee is innocent? By appealing fallaciously to piety (“It’s never been popular to be a Christian, especially when you’re standing for somebody or something”), misdirected faith and guidance, experience (“You simply need to trust in the Lord, and trust what you know about Pastor Kong from your years in church”), and mob appeal (“He is endorsed by many ministers around the world and the faithful members of the congregation who’ve been with him since the start”). 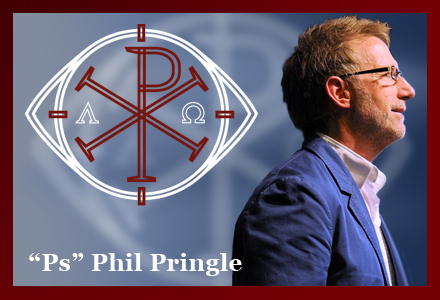 It might be time for Phil Pringle to read CHC Confessions. Pringle insisted that “The church will stay together.” That is false, the church can stand through anything. But a cult WILL try to stand together. The sad truth is that City Harvest Church IS “built on Kong Hee” and not Jesus Christ. So if the church is built on Jesus Christ, then a cult is built on its leader. The facts are, CHC has suffered terribly through the ongoing trial with many people leaving and its global reputaiton in ruins thanks to Sun Ho’s smutty music productions and Kong Hee’s unbiblical sermon productions. It’s been these false teachers who have persecuted Christ’s church, and Pringle is still standing quite comfortably with them in their defense. What is absolutely clear now, is how badly Phil Pringle is trying to keep his “sheepskin” on, trying to give the impression that Kong Hee is still qualified to be seen as a minister of God, despite the fact that the bible clearly disqualies him. Ministers have every right to condemn Kong Hee and Phil Prngle for their deceptive behaviour. It’s Kong Hee, Sun Ho, Phil Pringle and A.R. Bernard who have caused the world to blaspheme the name of Jesus Christ. They have not repented. They have no shame. CHC has clearly departed from the faith “through the insincerity of liars whose consciences are seared” (2 Timothy 4:2). It is absolutely unacceptable for Phil Pringle continuing to insist on Kong Hee’s integrity and innocence, and insist that he has the right to remain a minister despite the fact of the bible clearly disqualifying Kong Hee from holding that office. This is why City Harvest Church and the C3 movement are like cults – they are STILL accountable to no one. Phil Pringle, City Harvest Church’s advisory pastor, was in court yesterday morning to support CHC’s senior pastor Kong Hee. We spoke to him after the verdict. How did you feel when the verdict was delivered? Obviously, the verdict is very serious. I was initially shocked, and then deeply concerned for the families—I’m praying for comfort for them. I know Kong is more concerned about others, especially about Sun and his family. It’s easy on hindsight to pass criticism, but at the time, it obviously seemed right to them, as they had sought professional advice on their plans. I also think that the judge felt that Pastor Kong was the only one making decisions and that everyone was simply doing what he was directing. I think it’s true Pastor Kong presided over the larger vision; however, the activating was certainly in the hands of many people in the team. The judge noted the facts that Pastor Kong has not wrongfully gained, nor church wrongfully lost money. However, that fact that the funds had been, in his words, misappropriated, attracted the judgment he delivered. So, in the light of all these events, we remain filled with faith, that the promises of God are not deactivated by negative circumstances. All of us have made mistakes. We can be thankful to God that He continues to work with us through grace despite our shortcomings. Let’s continue to stand together believing in the sovereign hand of Almighty God. We’ve prepared for this as best as we could but the shock of the verdict and the flood of attacks from the public—and even friends and family—may be hard for some of our members to take. Remind us again what we should do. The Bible says, don’t revile people who revile us, but bless those who curse us. And leave any negative response in the hands of God. Our calling is to love, to love those who hate us. We shouldn’t try to engage those who have only negative things to say—if we can’t say anything constructive, we should be silent. Jesus was accused of breaking the law and breaching the Sabbath and the law of blasphemy. Paul was accused of treason. Peter was imprisoned for preaching, which was deemed against the law. 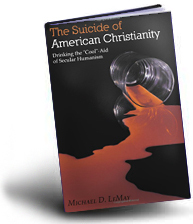 We sometimes have sanitized Christian history. But when Jesus was treated like a criminal and executed, his disciples fled. We must learn from these moments that though people make mistakes, it’s not a reason to leave them. When people are unjustly accused or unfairly treated, it’s not a time to depart. How should members deal with public humiliation? It’s never been popular to be a Christian, especially when you’re standing for somebody or something. Don’t get into that strange thing when you’re persecuted and you think, “They appear so good, yet the verdict from court has declared them wrong.” You simply need to trust in the Lord, and trust what you know about Pastor Kong from your years in church. He is endorsed by many ministers around the world and the faithful members of the congregation who’ve been with him since the start. Do you, as our advisory pastor, think we are prepared for this? More than anybody! The church will stay together. You’ll be strong. You’ll only get stronger. The church is not built on Kong Hee. It’s built on Jesus Christ. The church is more together and more resilient than you think it is. It survives any kind of persecution. The worst kind is when Christians fight against each other, when ministers criticize each other. It’s the worst kind because it’s confusing for the younger believers. At this moment Pastor Kong is still discussing with his lawyers about an appeal. Do you think he should? Would it be prideful if he did? To not appeal is to say “Okay, I guess I’m a criminal.” It’s not an arrogant pride. It’s a pride that says “I know who I am. I am not a criminal.” If you could appeal, you should. He has a responsibility to CHC to do that—the church needs him. It’s a tough time for us all. What do you want us to fill our minds with? This is the God of Jesus Christ, of David, of Moses—all who seemed like they were in impossible circumstances, but God delivered them. God’s glory is manifested in the darkest hour. We can trust God: His love for CHC will shine through. Phil Pringle will be preaching, together with CHC’s advisory chairman AR Bernard at CHC the weekend 31 Oct and 1 Nov, 2015. PERSECUTION: WHAT DOES IT LOOK LIKE? We want to remind people why Kong Hee and his church are being ‘persecuted’ by the government. CHC and Phil Pringle of C3 Church have reported that the Singaporean government has been unfairly persecuting Kong Hee and CHC because of their Christian mission in Singapore. 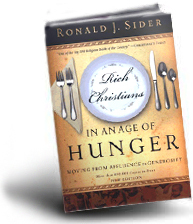 We have extensively recorded (mainly Pringle) for promoting this at his Presence Conferences. The idea presented at CHC, C3 and other places around the world is that Kong Hee is being persecuted as a Christian minister by a pagan government. Supposedly this persecution has fallen on him because of his successful ministry in preaching the gospel of Jesus Christ to a pagan nation. 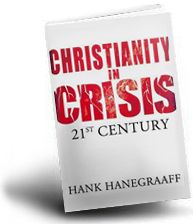 Pringle specifically has portrayed Kong Hee suffering like the Apostle Paul to his church and the thousands of churches that attend his Presence Conferences. Kong Hee has also portrayed himself being persecuted the same way that the Pharisees unfairly persecuted Jesus through an unlawful trial. So how should Christians discern ‘persecution’ in light of who Kong Hee is and what he has allegedly done? This article will examine this issue. So why are Kong Hee and his leadership in court? Because they are “entangled in civilian pursuits”/affairs. Paul teaches that we should not suffer by getting tangled in civilian pursuits but suffer in obedience to the “one who enlisted him”. What does this look like? 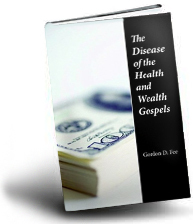 3. scamming people financially with the false tithe doctrine. 4. inventing his own religion and demanding Christians follow his ideas and visions as though his religion is real Christianity. 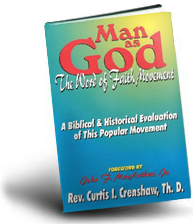 5. elevating his visions as a greater authority than the Word of God. 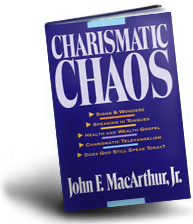 6. creating a false church system where he is accountable to no one. 7. promoting notorious heretics and con artists in his ministry. 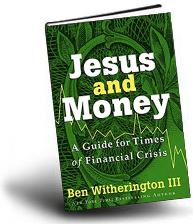 8. committing idolatry in preaching a false money-making Jesus. 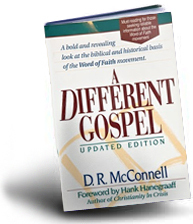 9. preaching a false gospel. 10. promoting false credentials in regards to his doctorate. 11. Sending people to Hell by misleading them with his false doctrine. These are just some of his obvious disqualifications. Clearly he is not ordained. He has not shown himself to be qualified or approved at all as a biblical minister. Frankly, we do not even have to look at the trial to see that Kong Hee is operating illegally as a minister of God in Singapore. His track record proves this. At this point, we think it is important to contrast Paul’s track record with Kong Hee’s record of Christian integrity and persecution. You can read in Acts how the Apostle Paul was stoned and maligned for simply preaching the basic saving gospel of Jesus Christ. This is what Paul was reminding Timothy of the “persecutions I endured” in these places. Contrast that to Kong Hee. Kong Hee and Phil Pringle have in the past portrayed Kong Hee has an Apostle Paul (or even Messiah-like), being persecuted by a heathen and immoral government. However, the integrity of Paul is the complete opposite to Kong Hee in the above passage. Paul makes it clear that those who desire to “live a Godly life in Christ Jesus will be persecuted”. But Kong Hee and Sun Ho producing smutty music videos like China Wine suggest that they don’t even come close to measuring up to living a “Godly life”. What we are seeing is the Law working to bring order where there is no order. To bring law where there is lawlessness. Kong Hee’s sin has blinded him and has destroyed him. Now he is so blind to his sin, he is using Jesus’ name to dare say that this is why he is being persecuted. By looking at the Scriptures we’ve exposed that Kong Hee is not going through Godly persecution or Godly suffering. We’re NOT talking about the trial, but rather, his track record of people calling him out for his sins and him not being accountable for them. We’ve seen this in other “churches” such as C3, Hillsong, Saddleback, LakeWood, Elevation, and unfortunately, many others. Whether or not Kong Hee is innocent or guilty, our hope and prayer is that he repents and learns from his sins. In keeping with repentance, Kong Hee and Sun Ho both need to stand down and resign from the pastoral office. This is because they are both disqualified according to Biblical standards from holding such a position. “Pastor” Sun Ho ordained recently as… a Pastor? Again? If you click on the above thumbnail screengrab it becomes apparent that other commenters were completely duped by CHC’s stunt. Why is this a stunt? Back in 2009, in response to Sun Ho’s outrageous ‘China Wine’ music video, Kong Hee slammed Christians and ministers who spoke against Pastor Sun’s behaviour in her China Wine clip. What Is Sun Ho’s Position At CHC? It appears that Nathan Avidan’s prediction is right. When Kong Hee falls, Sun Ho will be stepping into his position. 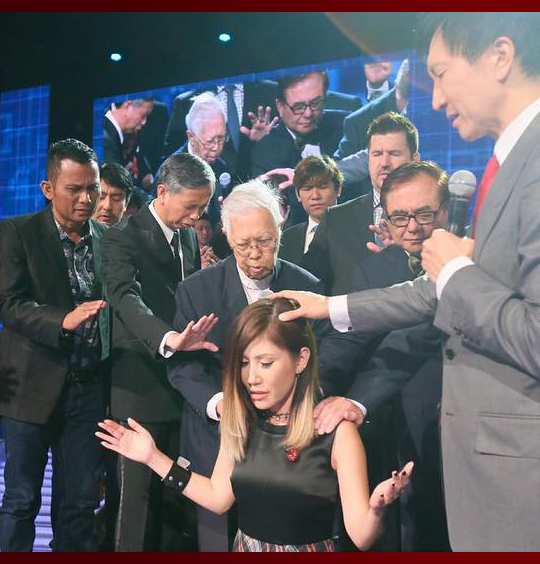 It is our opinion that the ordination is nothing but a visually deceptive stunt to con people to stay under CHC’s “new” celebrity “pastor”, Sun Ho. Seeing her lead, the people will not forget Kong Hee and will easily fall for anything that she tells them to believe. Sadly, this ordination has just publicly exposed and condemned CHC further as an anti-Christian cult. One that rejects God’s Word (it teaches CLEARLY that women are not to be pastors) and one that completely disregards the requirements of what it means to be a Christian and a minister. If CHC wants to embrace Sun Ho as their ‘pastor’, then hide your kids. Hide your wives. You couldn’t get a church with more opprobrious moral and ethical standards when its pastor gyrates half naked in night clubs with the alias ‘Geisha’ and singing about how they want to kill their partner. What do you think of Rosebrough’s observations? Here is a video looking at the things Hitler taught. Below it, are quotes collected from past articles and various websites. Keep in mind that Kong Hee copies the way he does church from Phil Pringle. Chew: You were aware that many of us laid down our lives for you and Kong Hee’s vision. Sun: Your Honour, I would prefer to say that this is a vision from God to our church. This is all our vision. “When the case first broke out (this is a description of the time during the CAD raid) we saw people in panic and fear and behaving unlike leader and that’s what caused me to stay away from the team and the lawyers, because I was affected by the lack of conviction in the team. Throughout 2002 to 2010 I poured my heart and mind into the Crossover because I truly felt that it was from and of God and therefore it was a risk worth taking. And this was my intention all throughout, your Honour, from 2002, when the Crossover started I’ve always felt Pastor Kong received the vision from God. It’s a mandate from God. If we’re going to do it properly, as best as we can, and make sure that the project comes to pass. I said: “We started by faith, and faith is an important element in this case, because our intentions, our state of mind are affected by our faith. “How could we help but feel once more in this hour the miracle that brought us together! Once you heard the voice of a man, and that voice knocked at your hearts it wakened you, and you followed that voice. For years you pursued it, without ever having seen the owner of that voice. You simply heard a voice and followed it. When we meet here today, we are all filled with the miraculous nature of this gathering, Not every one of you can see me, and I cannot see every one of you. Yet I feel you, and you feel me! It is the faith in our Volk that has made small people great, that has made poor people rich, that has made wavering, discouraged, fearful, people brave and courageous, that has made us, the wayward, see, and has joined us together! “Adolf Hitler, you are our great Fuhrer. Thy name makes the enemy tremble. Thy will alone is law upon the earth. Let us hear daily thy voice; order us by thy leadership. For we will obey to the end and even with our lives. Fuhrer, my Fuhrer, give me by God. Protect and preserve my life for long. You saved Germany in time of need. I thank you for my daily bread. Be with me for a long time, do not leave me, Fuhrer.